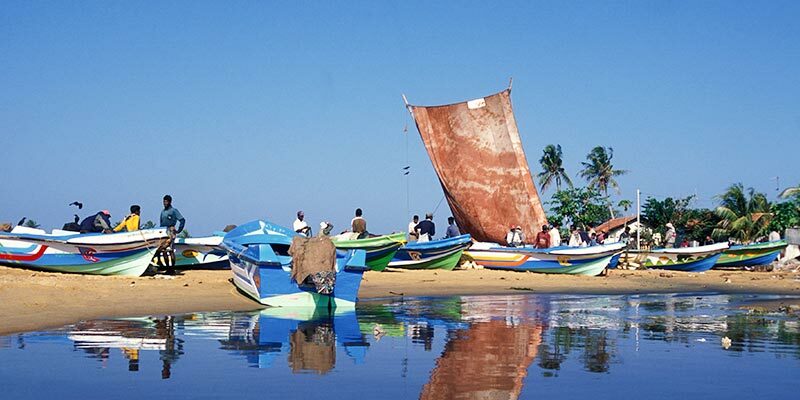 This Adventure Tour of Sri Lanka offers the best of what Sri Lanka has to offer. 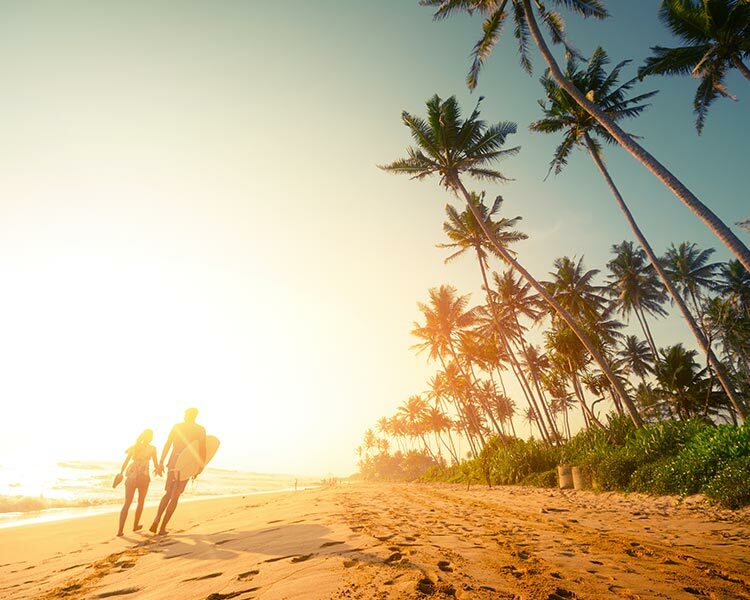 Starting off in the cultural triangle in the north central part of Sri Lanka, it climbs through the hill country and then heads down to the beautiful golden sanded beaches of the southern coast. 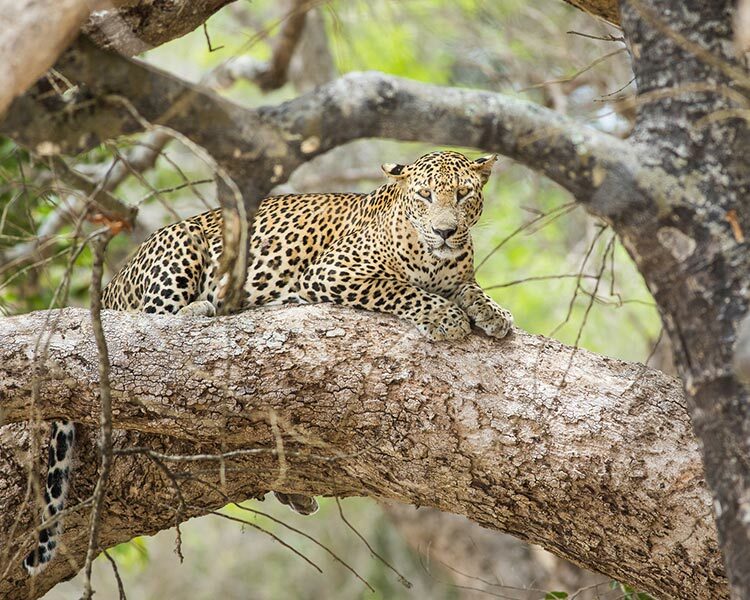 Activities include Jeep Safari through national parks, cycling, hot air balloon rides, white-water rafting and abseiling, picturesque hikes, basic spelunking, whale watching, scuba diving and snorkelling. 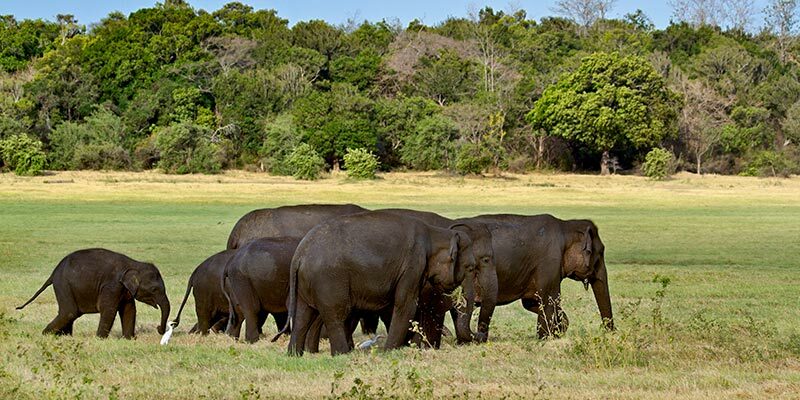 This tour is ideal for those who are looking at adventure tours in Sri Lanka. All entry fees for places of interest as described in itinerary. Jeep hires at national park. Train tickets from Ella to Kandy. On arrival, you will be picked up from the airport and transferred to your hotel in Negombo. 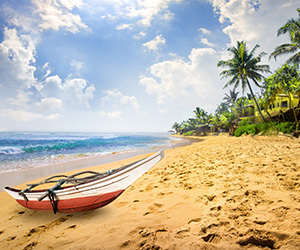 You will spend the rest of your day at leisure recovering from your flight and acclimatizing yourself to Sri Lanka. 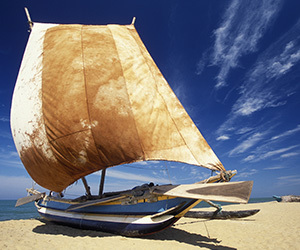 Time permitting, depending on arrival time, you may also have the option of exploring Negombo in the evening. After breakfast, you will leave for the north-western part of Sri Lanka. 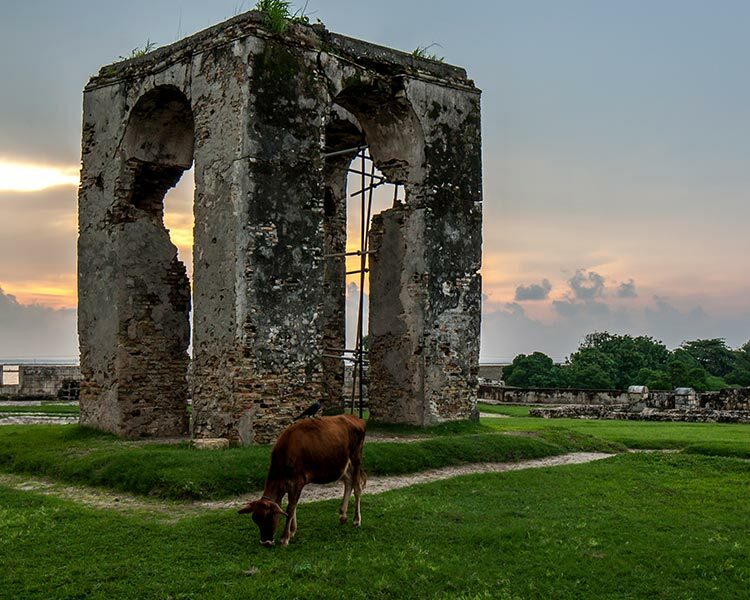 The majority of cultural ruins and archaeological marvels which give testament to Sri Lanka’s early civilization are found here. 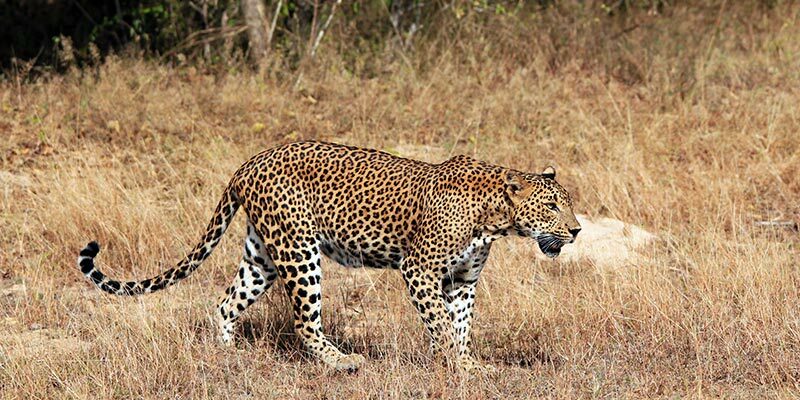 Depending on your arrival time, you will have the opportunity to go on a Jeep Safari through either Minneriya or Kaudulla National Parks. The Minneriya National park is particularly interesting during the periods July through September as the low water levels prompt a phenomenon called “The Gathering” that is quite rare. 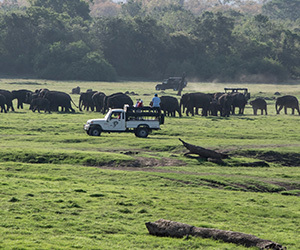 The gathering is the coming together of elephants found here numbering up to 300 at the shores of the Minneriya lake. This is the largest gathering of elephants in South Asia. 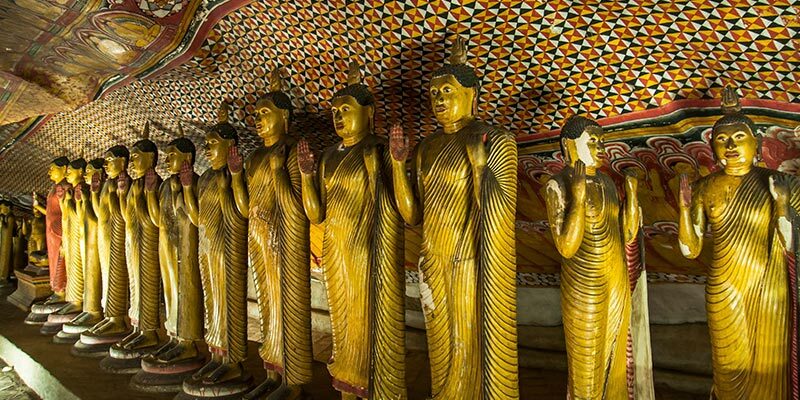 Today, you will visit Polonnaruwa. 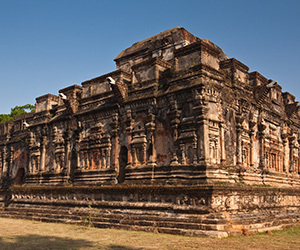 Polonnaruwa is Sri Lanka’s second medieval capital and offers countless interesting ruins and marvels to visit. 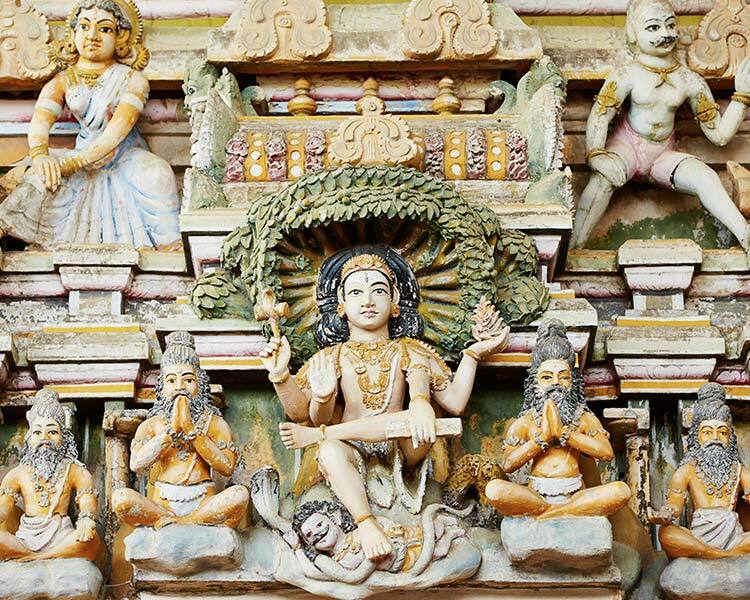 The thriving religious and commercial cradle of Sri Lanka, it was the royal capital spanning three centuries from about the 12th century. 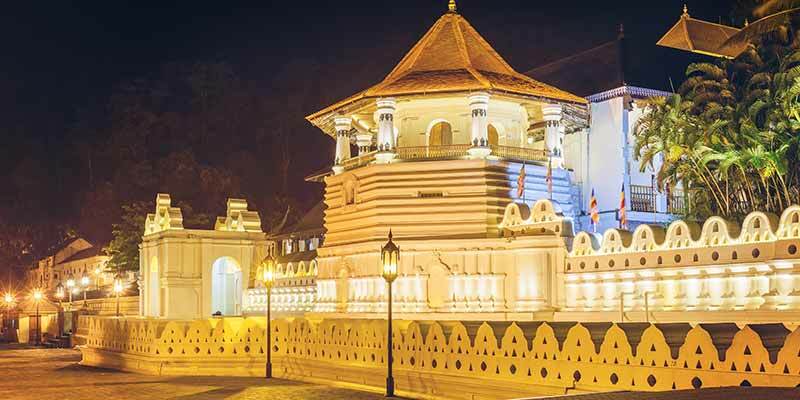 Interesting places to visit include The Royal Palace, The Audience Hall, The Kings Swimming Pool, The Sacred Quadrangle, Shiva Temples, Lankatilake, Gal Viharaya, numerous Dagobas and more. You will be provided a bicycle if you so wish to ride around visiting these places. 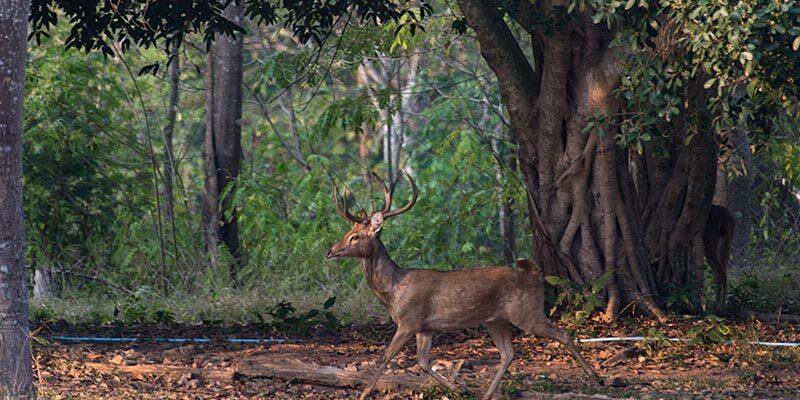 In the evening, leave for a hike up Pidurangala rock in time to observe the sunset. 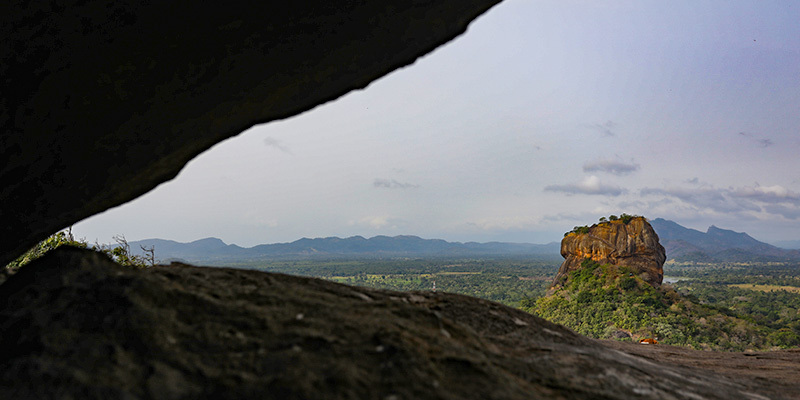 Lesser known to its counterpart Sigiriya, Pidurangala is another edifice that is unexcavated and is growing in reputation for its adrenalin enticing climbs. Relatively easy to climb, it offers amazing views from atop. Taking a packed breakfast, you have the option on going on an early morning hot air balloon ride. Ballooning is a wonderful experience for people of all ages and is gathering a lot of interest from locals and tourists alike. Ride silently through the sky, wandering over the central plains, towns, national parks and more. A memory that lasts a lifetime. You will then proceed to Kitulgala which is famous for lower level white-water rafting. Today, you will leave for a spot of white-water rafting. 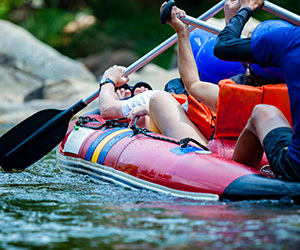 With rapids of level 2 and level 3, it a paradise for the white-water rafting beginner. 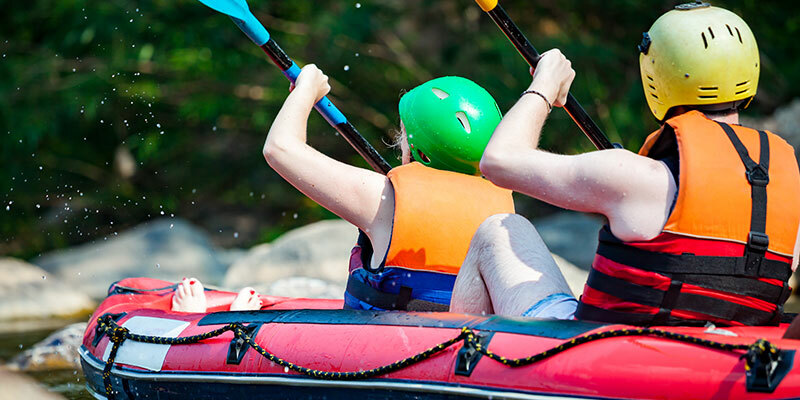 Experience the thrill of rafting down the very picturesque Kelani River, which has 4 level 2 and 5 level 3 rapids through roughly 5 KM of river. 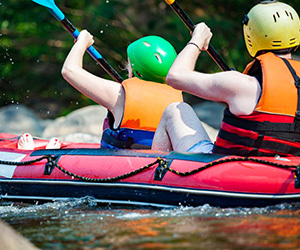 This activity is suitable for anyone over the age of 12 with safety gear, inflatable rafts, and a very thorough safety briefing given beforehand. 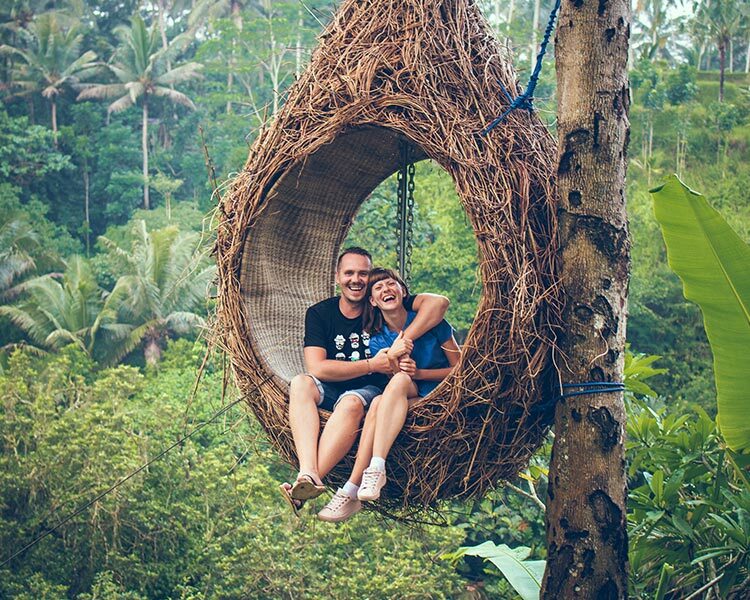 You will also experience various other adventure activities en-route. Today, you have the choice of mountain biking (literally) to the very ancient pre-historic Beli Lena Caves. The cave lies at 9000 feet upon a very steep path atop a ledge halfway up a mountain offering breath-taking views of the countryside. 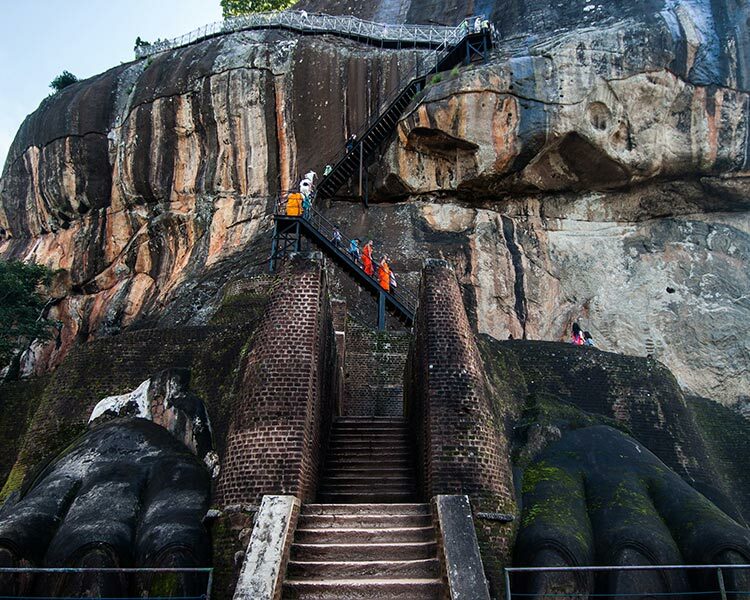 The place where the “Balangoda Man”, a 16000-year-old skeleton was found, it’s also offered up substantial findings of artefacts and tools going back to about 30,000 years BC. These discoveries are considered to be very important as the earliest evidence of tools are thought to be from Europe, dating back to 12000 years BC. These findings have proven that the “Balangoda Man” was far more advanced than the Europeans of that era. You will then continue to the central hill country in anticipation of your next exciting adventures. Taking a packed breakfast, you will leave very early, even before the sun rises to the Horton Plains National Park. A very beautiful yet eerie highland plateau, Horton Plains offers one of the best trekking opportunities for adventure enthusiasts. 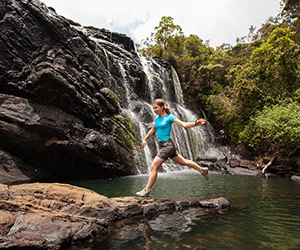 The trail offers astonishing sights such as Small World’s End, Big World’s End, Baker’s Falls and Chimney Falls views and runs roughly 09 KMS taking approximately 3.5 hours to complete fully. 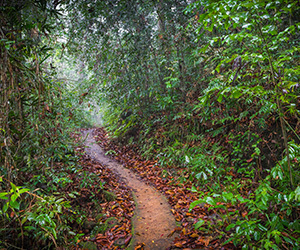 This trail is relatively easy with the exception of the part leading to Bakers Falls and the trek through the Cloud Forest. 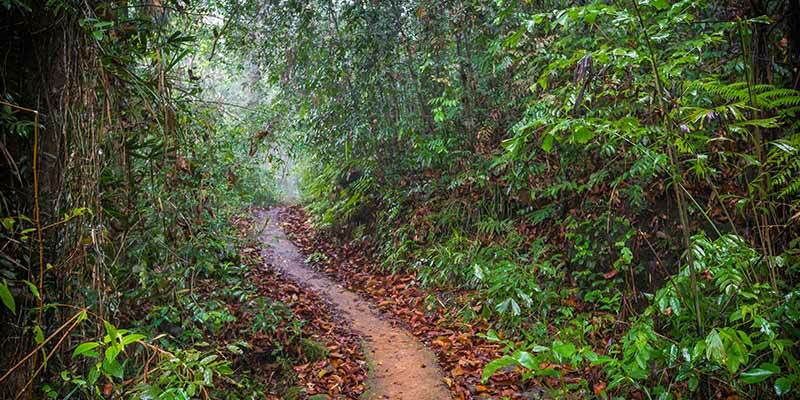 Today, you will leave for the infamous Sinharaja Rainforest. You trip down to this forest reserve will wind through mounts and valleys and offer up one of the most attractive rides in Sri Lanka. Many photographing chances exist and it is a must to capture a few pictures just to make others back at home jealous. You will check into the hotel and rest whist preparing yourself for the next day’s activities. 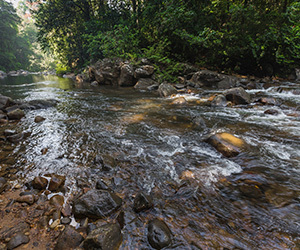 Located in the south-western area of Sri Lanka, Sinharaja Rainforest is Sri Lanka’s only remaining virgin tropical rainforest. The bio diversity found here is unrivalled with 60% of the flora being endemic and rare. There is much fauna to be found here, especially the birdlife. 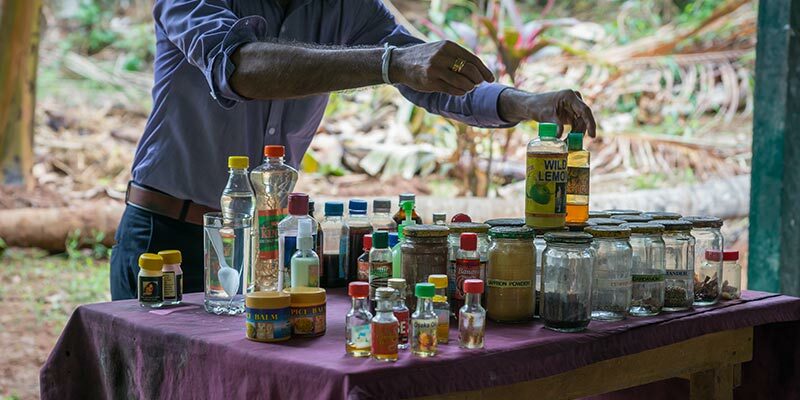 This reserve is home to over 50% of Sri Lanka’s endemic mammals and butterflies. There are many trekking trails found here. 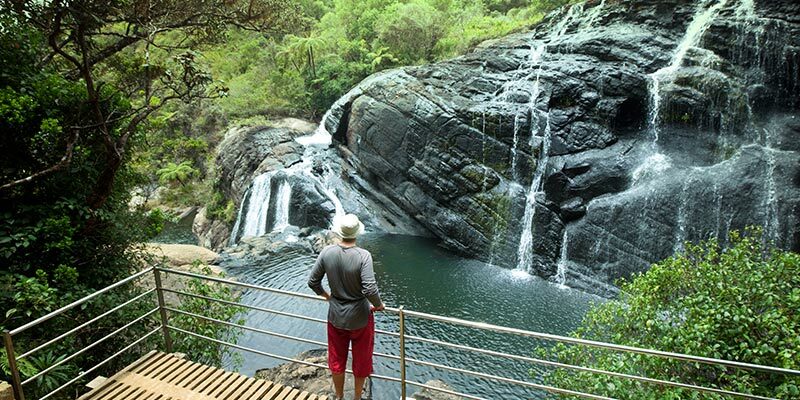 The main trail of 2.5 Kms winds through varying forest canopies with roughly 3 feet of clearance and the adventure trail is a more difficult trail but offers up a very scenic route with waterfalls and streams. 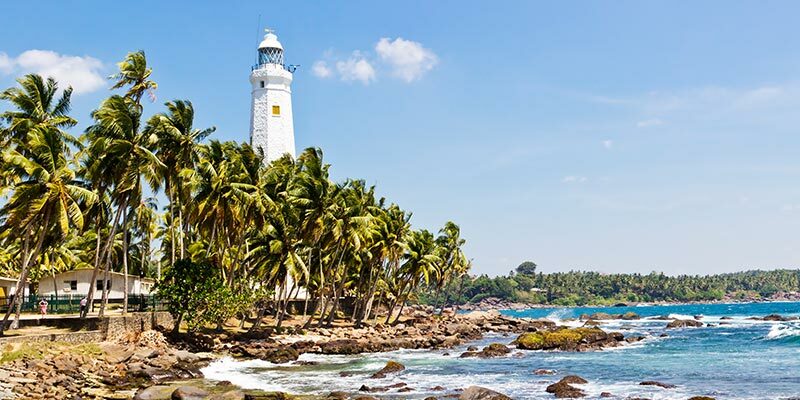 Today, you will head down to the southern coastal area of Mirissa. The Mirissa beach has just enough going on, giving it an atmosphere without it feeling too crowded. 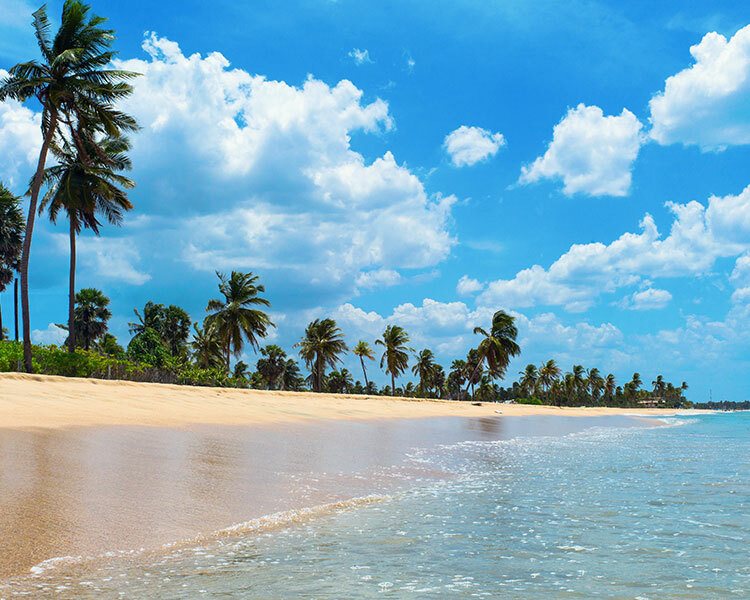 It is a picture postcard beach with palm trees lining the borders, clean golden coloured sand and incredibly clear blue green waters. 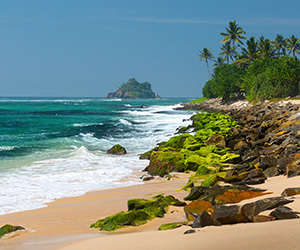 It is no wonder that it is known as one of Sri Lanka’s best beaches. 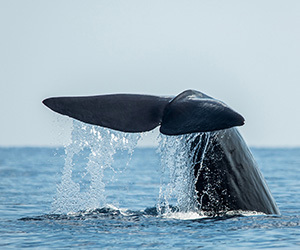 Today, you will report to the harbour at 0600 am to leave on a whale watching excursion. Leaving the harbour at 0630 am, you will head out towards the drop off where the whales feed. 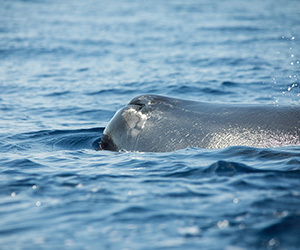 Most times, the whales can be seen quite close to shore. However, on some days, you may need to go out further as they can leave for deeper water to feed. 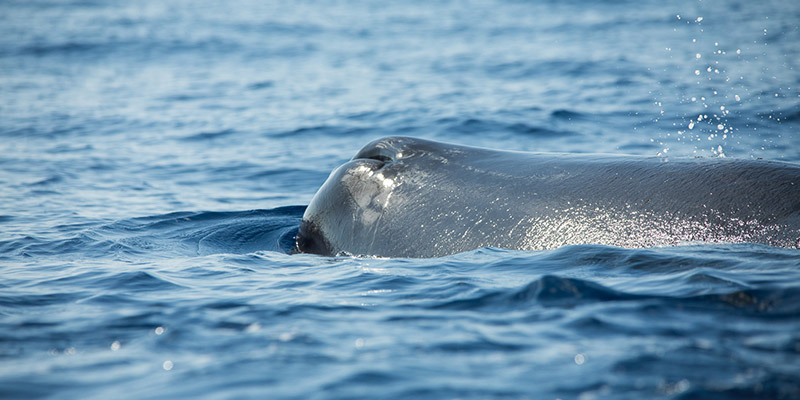 Blue whales, Orcas, Sperm whales, Byrd’s Whales and Pygmy Killer Whales are the usual whales to be found. Spinner, Bottled Nose and Riso Dolphins too may make a presence. If you are extremely lucky, you may catch sight of a whale shark as well. Today, you will leave for Unawatuna in the morning. Hiring snorkelling or diving gear, based on your preference and ability, you will take to the ocean and explore the reefs found here. Rich marine life makes for an interesting experience. If you are lucky, you may be able to catch sight of a turtle and take a closer look at this majestic individual. You will then proceed to Colombo. Colombo, a town that has existed over 2000 years, is now a modern city dotted with many colonial era buildings amongst the hundreds of sky scrapers here. Colombo, which is also a port city, has a long history as it is situated right on the ancient east to west trade routes. 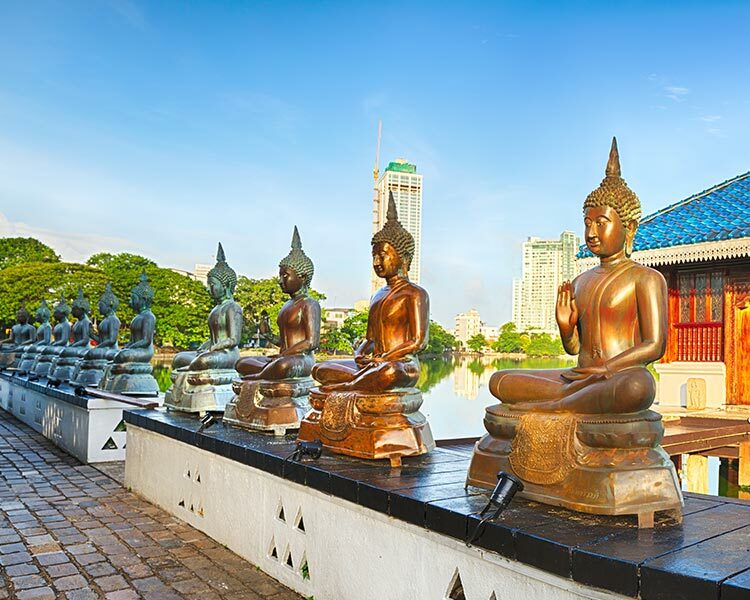 Sightseeing highlights include the Colombo National and Dutch period museums, old and new parliament houses, Gangarama Buddhist Temple, Town Hall, and the Bandaranaike Memorial International Conference Hall etc. Today, after breakfast, you will leave for the airport for your departure back to your country of origin. 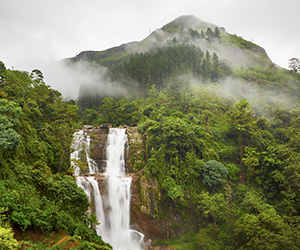 Complete with lush tea estates, the region of Matale, Sri Lanka is a picturesque delight for travellers. Situated a little over four hours from Colombo, the Hill Country district is an escape from the humidity of the commercial capital.